When the rumors of a new iPad Mini started popping up at the end of last year, I said that if they were real, then they would continue and would start to include details and leaks about the hardware as we get closer to release. It certainly seems like the Mini rumors are true this time, as we have had a steadily increasing stream of reports. Today brings a new one from Japanese site Macotakara that may disappoint some, but will make perfect sense to others. According to this new report, the coming iPad Mini 5 will be a near carbon copy of the current Mini 4, at least on the outside. The rear mic may move to the center of the back, but the rest will be very familiar. It will include TouchID, a Lightning Port and even the dreaded Headphone Jack. The insides of the new Mini will change, but not that much. The Mini 4, which was released four years ago, had an A8 processor. The new one will supposedly have an A10, leaving it a full 2 generations behind the current A12X Bionic that’s in the iPad Pro. However, it is also worth noting that this is the same processor that’s in the current-gen iPad. These details certainly line up with the belief that the new iPad Mini will be a budget-conscious device. Apple keeping the same basic design and feature set will make it easy for Apple to keep the price low without sacrificing their beloved high profit margins. Going with the A10 may seem like aiming too low, but this processor actually works quite well in the current-gen iPad, so it should be just fine for the new Mini. One recent rumor that is noticeably absent is the inclusion of a Smart Connector and Apple Pencil support. To be honest, while I would be thrilled if Apple included these premium features in the new Mini, I still have a hard time believing it. I just don’t see how the expense these features would add fits with the budget-conscious design that all other rumors have pointed to. The key for the new iPad Mini 5 is definitely going to be price. If Apple is going to use the A10 and keep the same design, then they should be able to hit a very competitive price point, which will be essential to drive sales. Maybe just maybe they will finally come in at that elusive $299 starting price that they have never hit with a new iPad before. I think this new low is essential for the Mini 5 if these reports are true, because if Apple simply tries to slide the Mini in at the iPad’s current price of $329, they would absolutely deserve the criticism guaranteed to come their way. For now, my money is on Apple doing the right thing here and bringing the Mini 5 to market at a very attractive low price. 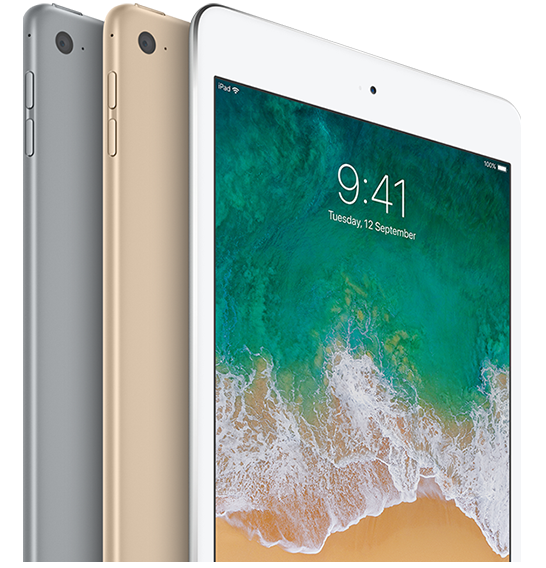 With a rumored bigger screen and better specs, a rumored new iPad would be worthy of a slight rise in price over its $329 starting point. This pair of tablets would make the lower end of Apple’s iPad lineup stronger than ever, so I am really hoping we will see both of these new devices in the next month or so. With iPad Pro sales up recently, these new lower-end options could be the perfect compliment to keep those sales coming.